It's funny the things you miss when you are living far away from home. Of course you miss family and friends. You miss weddings and birthdays and even funerals. You miss the sights and sounds of your hometown. I never knew how much I would miss mountains until I lived in a flat place. But inevitably, when talking about home and what you miss, the conversation always comes around to food. People miss their favorite Mexican place, or the way dad grills burgers, or mom's pie on Thanksgiving. I miss seafood. Good, fresh seafood. Perfectly fried clams from Seattle's iconic Ivar's restaurant. But that's for another post. Root beer is another thing that people just really miss. And by people, I mean Americans that like root beer in the first place. Root beer is pretty much an exclusively North American thing and you just can't find it easily anywhere else in the world. Recently, my husband was asked to provide the food for a school event for 250 people. The school is here in Ukraine, but for ex-pat kids, mostly from America. I did desserts. As I was trying to decide what kind of flavors people might enjoy, my mind turned to root beer. How to make a root beer float into a dessert? Put it in cupcake form, of course! 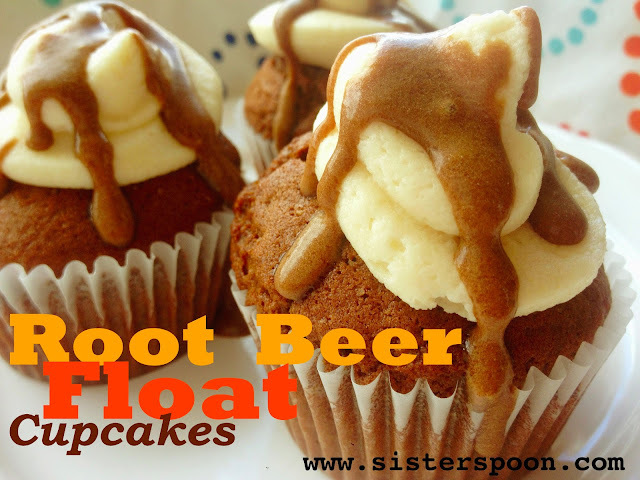 The root beer float cupcakes turned out to be a hit, so I thought I would post the recipe on this blog for those who might enjoy it. Warning to my ex-pat friends: This recipe requires root beer extract. While you can't get that overseas any easier than you can get root beer itself, it is MUCH easier to tuck a little bottle of extract into a suitcase or a care package than it is to haul over a six-pack of root beer. And Bonus: with the leftover extract, you can make your own root beer! Maybe I'll do another post on that later. So, after preheating the oven, the first thing you do is take your butter and sugar and introduce them. The butter needs to be softened first. (Which means you leave it out on the counter for awhile until it's soft. This does not mean you melt it. You know who you are). Now you cream the two together for about 3 minutes until it looks kind of fluffy. Like this. If you are finding it too hard to get the butter to beat into fluffiness, it means you didn't let it soften enough. If it's a runny mess, you were not paying attention in step one. 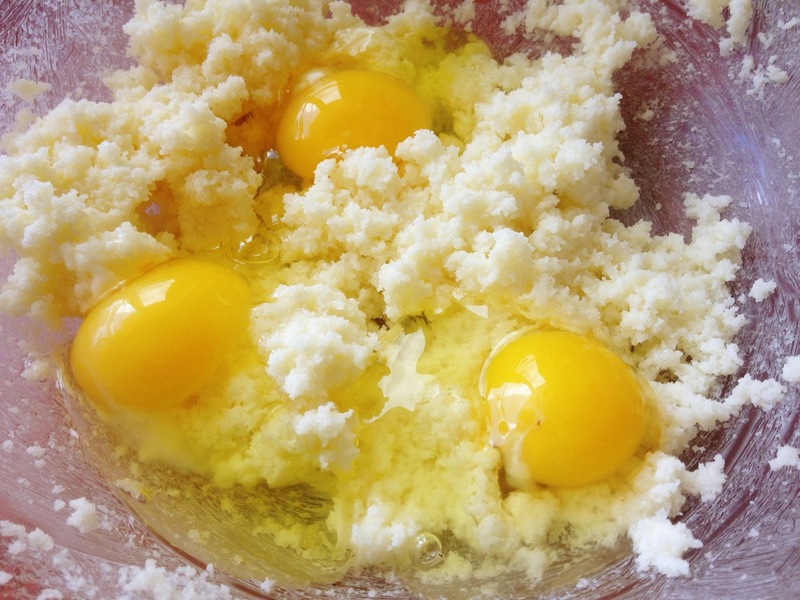 Now you add the eggs into the butter/sugar mixture. The recipe says add them and beat them into the mixture one at a time. You know, or three at a time. Whatever. Now we're going to add the flour, baking soda, baking powder, and salt. Again, the original recipe says to mix this all together in a separate bowl. You know, I hate washing extra bowls. This seemed to work just fine for me. Just don't beat it in yet. Add it to the bowl, but step away from the mixer. If it makes you feel better to use a separate bowl, go right ahead. Happy dish-washing. 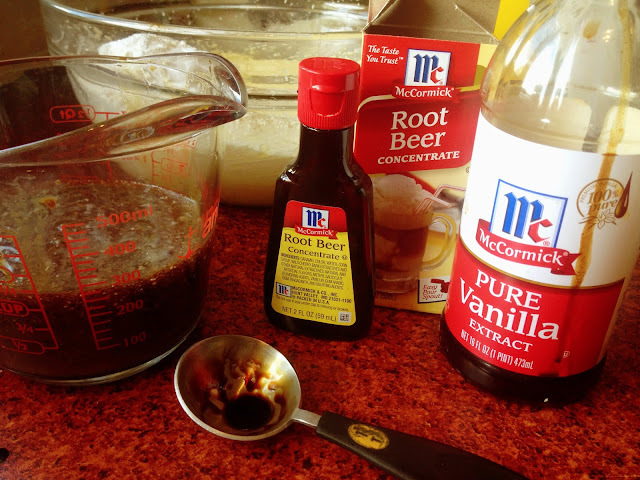 Now, in a 2-cup measuring cup, measure out the milk, oil, vanilla and root beer extracts. Whisk it all together thoroughly. (Root beer extract/concentrate can be found at most grocery stores. We got this at Walmart). Now you add the liquid in the cup a little at a time while incorporating your dry ingredients that you threw in the bowl already. When all the dry stuff and all the root-beery liquid is all mixed in well, this is what you get. 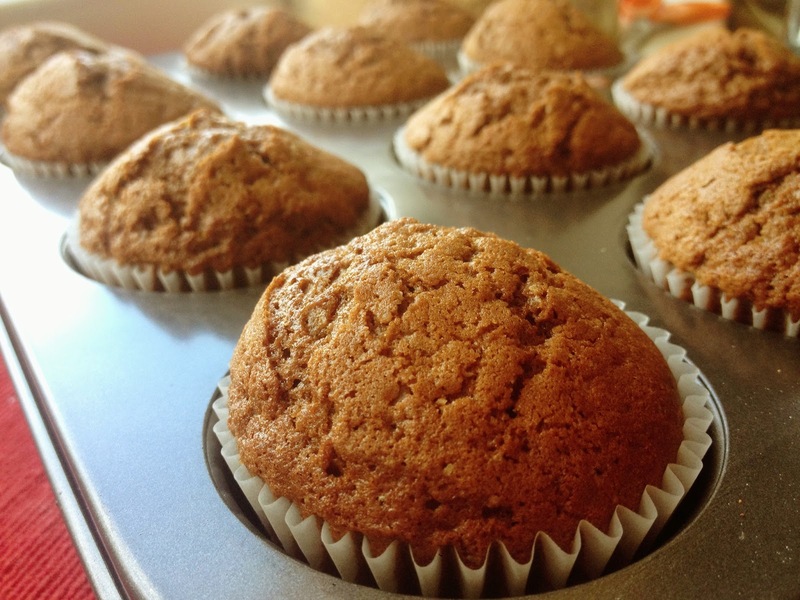 Line your cupcake pans with paper liners, and scoop that batter. While your cupcakes are baking, we're going to whip up the frosting. 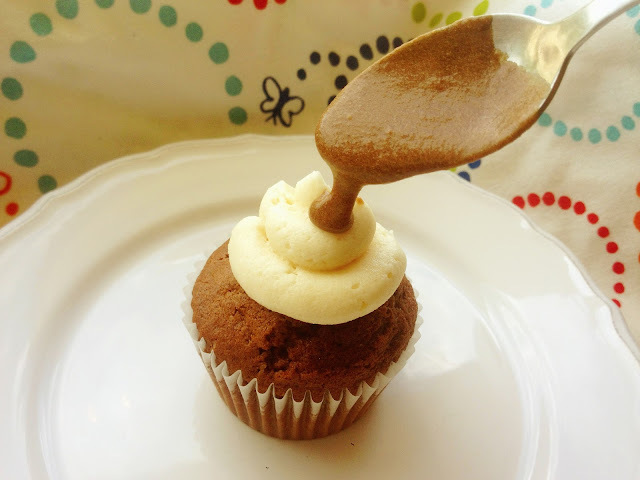 But keep an eye on your cupcakes and pull them out in about 15-20 minutes or when they pass the toothpick test. When they are done, put the cupcakes on a cooling rack. This is a standard vanilla buttercream, so if you have your own special recipe you like better, feel free. No skin off my nose. Anyway, first we cream the butter a little bit, just to show it who's boss. Then add the powdered sugar and a pinch of salt. Beat that in pretty good. Then you are going to add the vanilla, and beat it in well. Then start adding milk a teensy bit at a time. If you haven't done this before, I really mean a teensy bit. Like a teaspoon. Beat that in, and add one more teaspoon. Keep going until your frosting is a nice consistency for piping. (I think this time I used about 2 Tablespoons of milk total). Once you've got your frosting how you want it, take out one plop and set it aside in a little bowl. (One plop is about 1/3 of a cup, in case that's not on your measurement charts). Take your plop of frosting, mix in one more spoonful of milk, and zap it in the microwave for about 15 seconds. 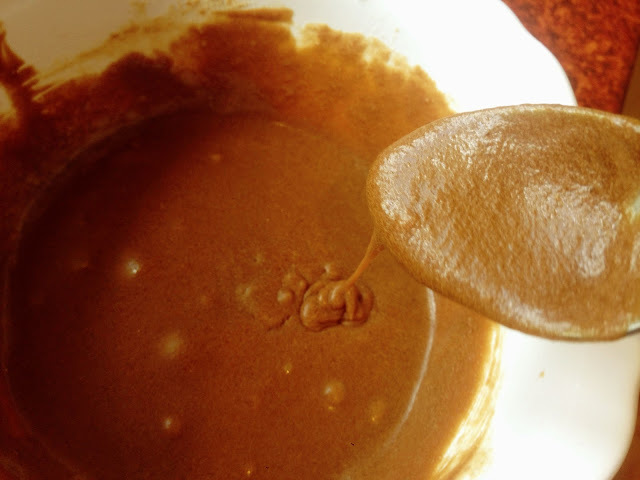 When it's warm and all mixed together nicely, add 1/2 teaspoon of your root beer extract. Stir it in well, then put this bowl in the fridge to cool down. Back to your vanilla frosting. If you've got a special frosting piping bag, great. If not, a ziploc-type bag works just peachy. 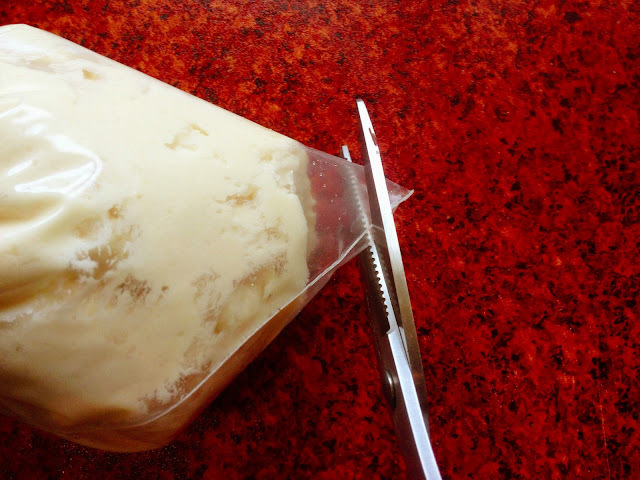 Spoon your frosting into a bag, squish it all down into one corner, and then snip off the tip. I wanted a fairly large opening for this, because I am simulating (in my head at least) a thick swirl of soft-serve ice cream on top of my root beer cupcake. Now, pipe the frosting on the cupcakes. I didn't pipe to the edges because I wanted it to look like ice cream in a float. I also needed a little something more, so that's where our bowl cooling in the fridge comes in. The little drizzle of root-beer flavored icing on top evokes the vanilla-root-beer foamy stuff that happens when the ice cream starts to melt into the root beer in an actual float. At least that was my intention. Anyways, it tastes good. And there you have it. 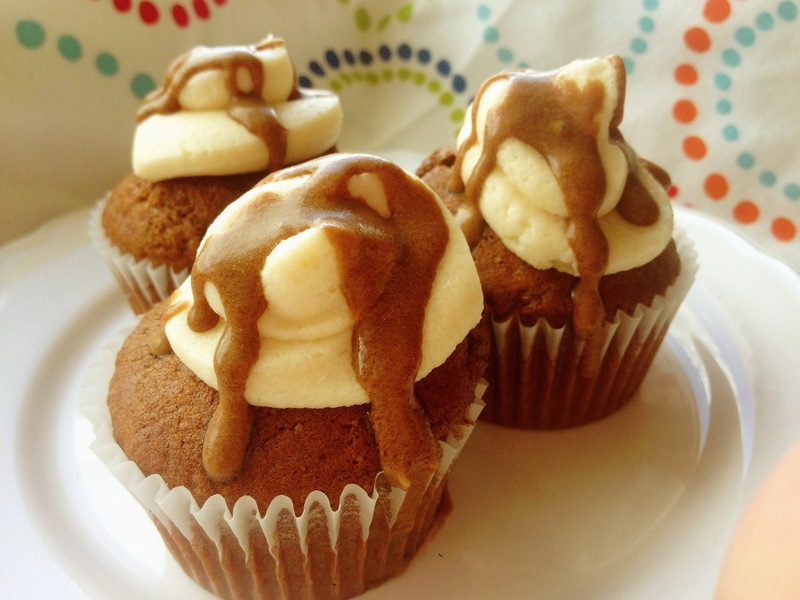 Root beer float cupcakes. For when you are missing that flavor of home. Or just because they rock. Either way. Whatever floats your root beer. 1/2 teaspoon root beer extract. Preheat oven 350F. Line 24 cupcake cups with paper liners. 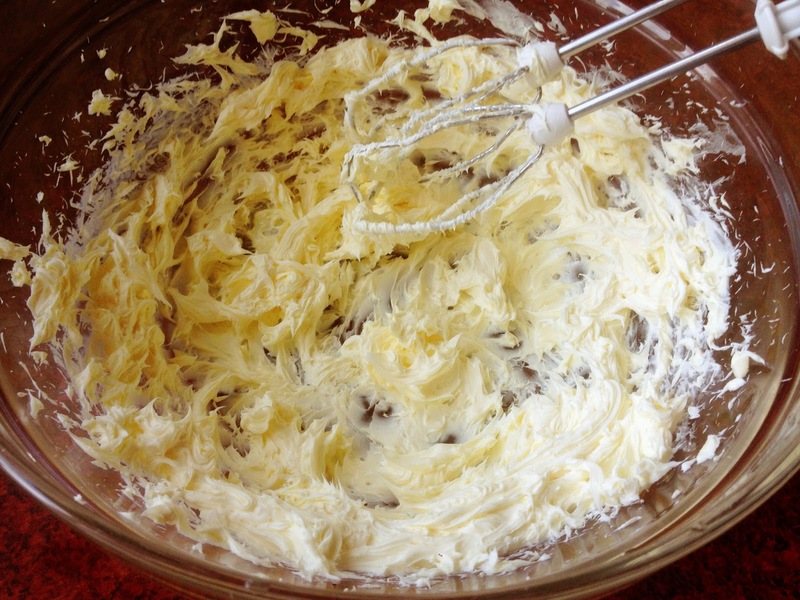 In a mixing bowl, cream sugar and softened butter together about 3 minutes, until fluffy. Add eggs, one at a time, and mix in after each one. 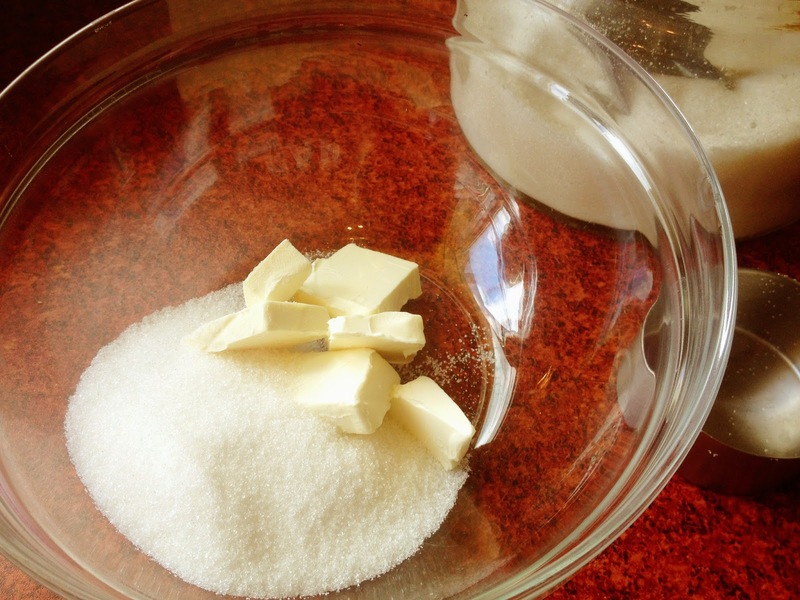 Add flour, soda, baking powder and salt to the bowl. 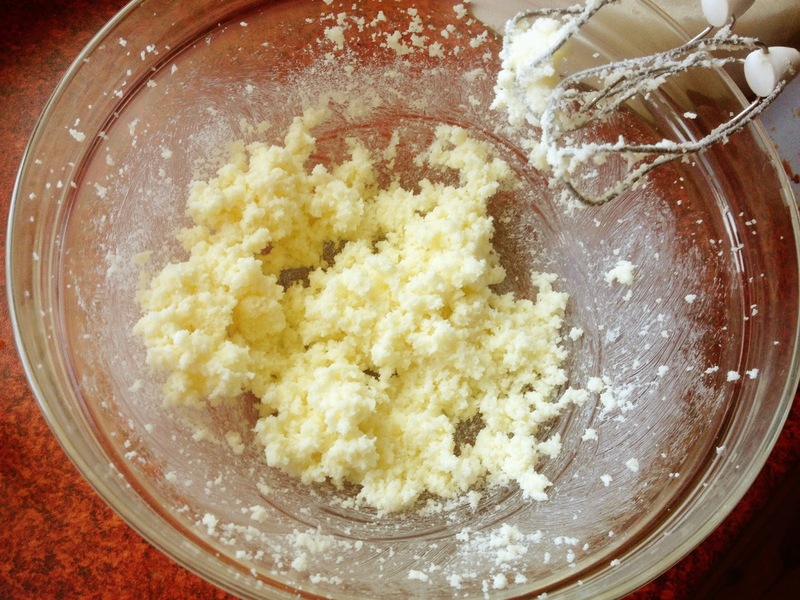 In a 2-cup measuring cup, whisk together milk, oil, and extracts. Pour in liquid slowly, while beating together the dry ingredients into the batter. 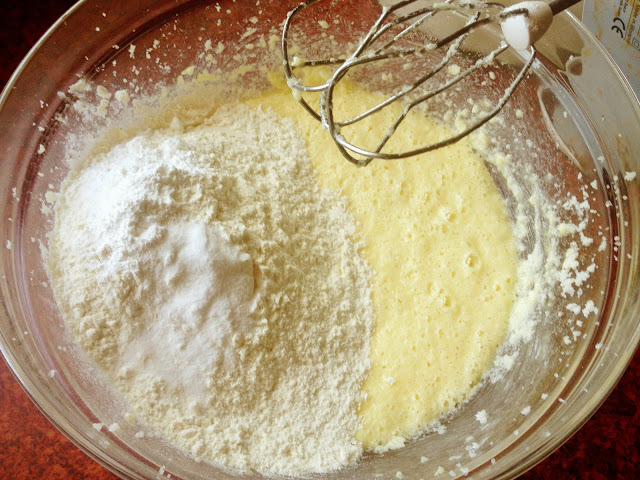 Keep mixing until both dry and liquid are all mixed in. Divide the batter into the cupcake pans. Bake 15 to 20 minutes or until a toothpick comes out clean. Cool on a rack. 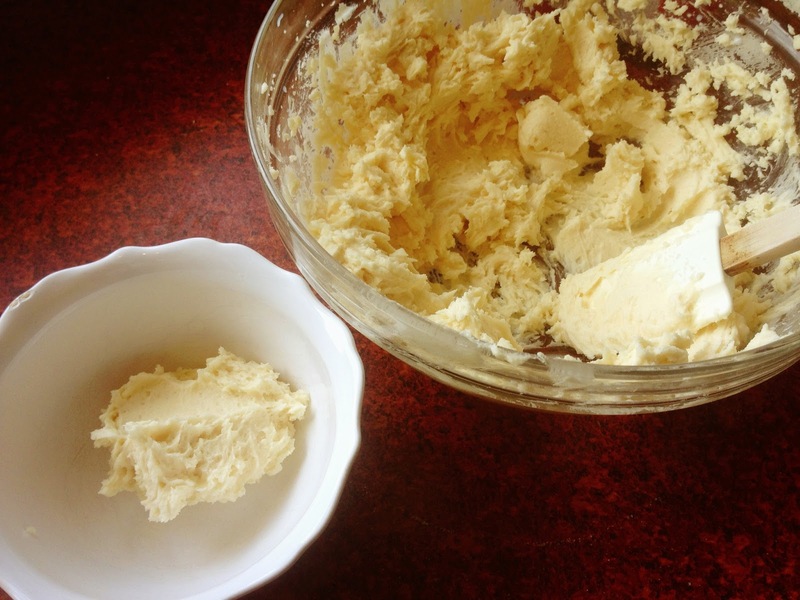 Beat 1 cup of softened butter until creamy. Add 4 cups powdered sugar and a pinch of salt. Mix until there are no dry spots of sugar. Add the 2 teaspoons of vanilla and beat together again. 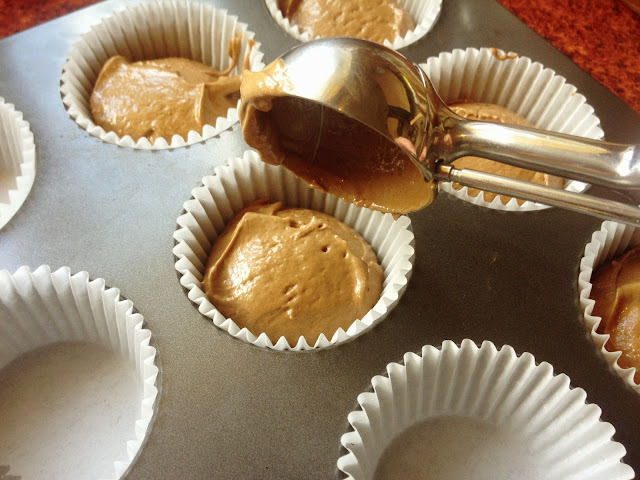 Start adding milk, a teaspoon at a time, until your frosting is the consistency you like for piping. 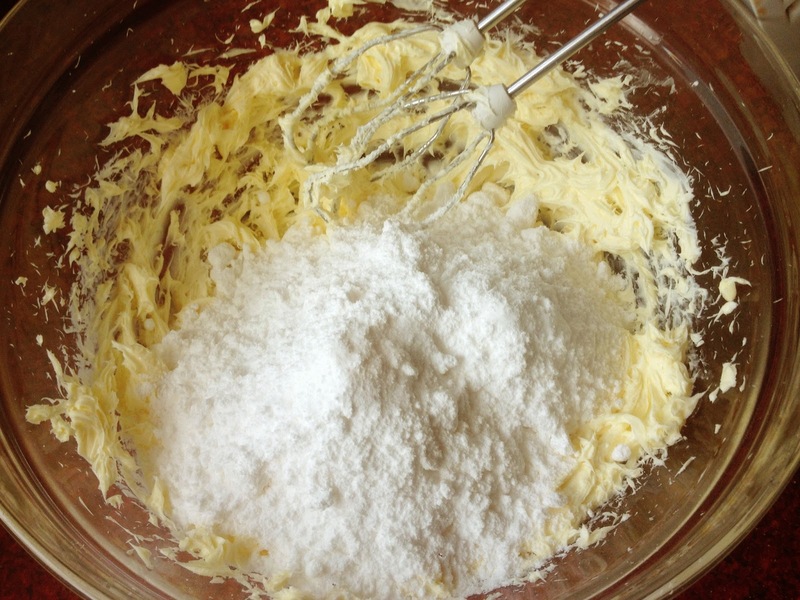 Remove about 1/3 cup buttercream and set aside in a small bowl. Pipe the rest of the buttercream onto the cooled cupcakes. 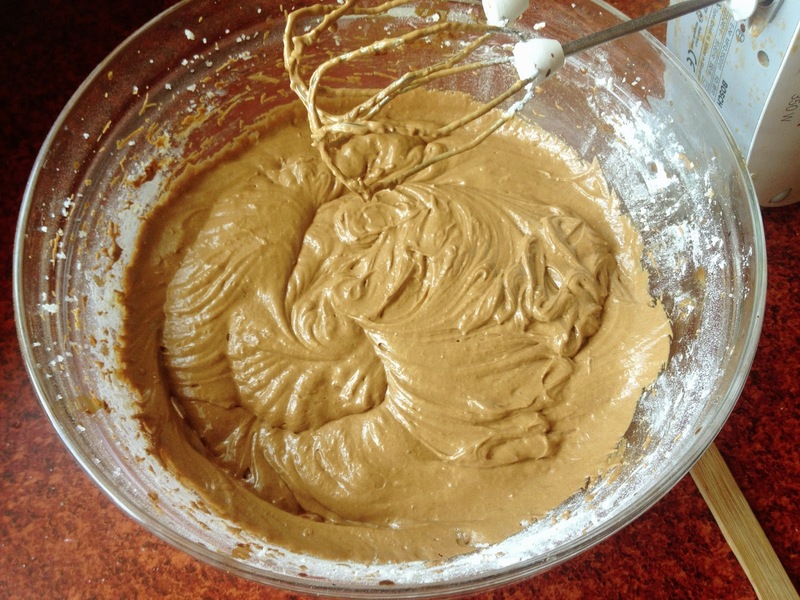 Use the reserved buttercream and mix 1 Tablespoon of milk into it. Microwave for about 10 seconds, and then mix in 1/2 teaspoon of root beer extract. Place in the refrigerator to cool. Once cool, drizzle the root beer icing over the vanilla buttercream. One teaspoon per cupcake is about right. Hey Jenny! My World Race team was with you in October 2011. I made these for my Bible Study / Fiance's birthday and they were loved by all. So creative & great taste! I do remember your amazing butter cream so I was excited to try this!